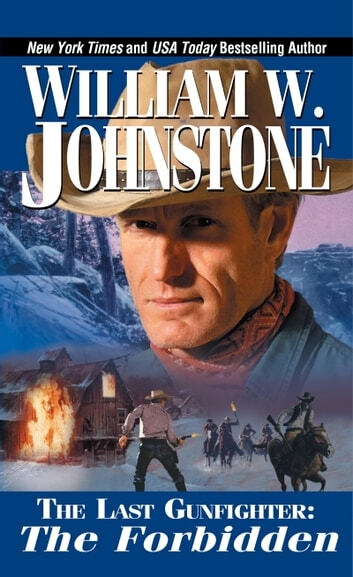 New York Times bestselling author William W. Johnstone continues his masterful storytelling with The Last Gunfighter—a boldly authentic series about lawmen, outlaws, and the innocents caught in between. Outlaws had smashed his life, left his wife dying, and carried off his son. Now all Frank Morgan wants is to hang up his guns and settle down in peace. But all that changes when he rides into the middle of a Montana range war, where a valley has been ripped apart by hatred and fear . . . and where his legend proves to be as dangerous as his gun. The blood of innocent men, women, and children has been shed. On one side is a small army of ranchers, on the other a stubborn band of farming families. With each side suspecting that the other brought in Frank Morgan, the gunman’s reputation fans the flames of war. But a strange thing happens to a man who has been living a wanderer’s life. In a battle that’s not his, Frank must choose a side, make a stand, and be willing to die for a place some people will call home . . .